As an author, you write your piece with no barriers. Yet the dilemma of publishing is a hurdle to your dreams of publishing your own book. With Book Vine Press, we don’t want to be a hurdle to that dream. In fact, we want to pave the way to your success. We will help you write your own success in a cost-effective way, in earning the 100% royalty and the most affordable printing cost to produce your book. At Book Vine Press, we don’ want your book to be stuck in your shelf. It needs to be in the hands of the readers all over the globe. Your mission to spread your work is our goal as well. We will provide you affordable marketing services with the guidance of our marketing experts. Together we will work to give your book the best chance to succeed. Through our affordable publishing packages, you can add more to your book stocks. The more books you have, the more you can market them to your target readers. You don’t have to wait long to get your additional book copies. Under One Roof in the Publishing Capitol of the World, NEW YORK CITY! In terms of Self-publishing, we authors sometimes have a hard time understanding what’s going on into it. We tend to just let the publishers decide what they want without our full knowledge. One crucial step in reaching your book’s publishing mission is to market it to your readers. Marketing can be hard especially if you are an independent author. As a company created by an author for authors, we have seen the dilemma of most authors. It starts by publishing a book up to marketing, costing them thousands of their hard- earned money. When reality set in and I realized that I had really lost – 3 businesses – 2 houses – my last commercial building & about 10 million dollars one of the things I knew I had to do is write a book to help everyone in the world to not make the same mistakes I had. 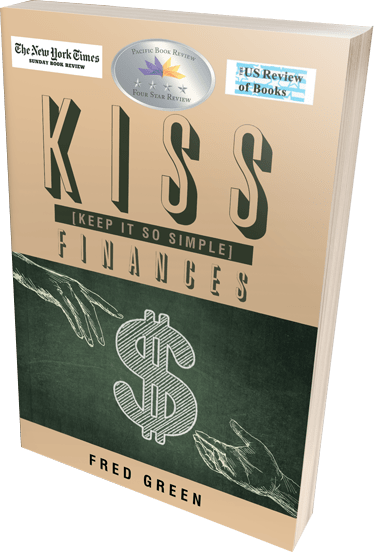 The book had to help everyone from those who had already made millions to those who had buried themselves in a deep hole of debt. The book had to be easy to read with simple guidelines to follow and implement. Brim’s Justice has many qualities of a timeless classic. I could easily relate to all the major themes in the book: Brim pursuing a career he is passionate about and excels in, the unchanged dedication required in police work to identify and charge criminals, the effects on a community of notorious criminals who spread terror and violence, and the everyday challenges of balancing a career and building working relationships with coworkers to pursuing a romantic relationship. "I’ve worked with Matt for more than a year now. Our first republication project was a success; he made an excellent job on both cover and interior design. He’s always there to answer my calls and assist me in every stage. The best thing that happened was my book sales, after they lowered the price to $5.99; I made more than 500 copies in 4 months’ time. Truly price and quality go hand in hand." "I am now working on my second book with Matt, and I will entrust it and any future book projects to him. Keep up the good work Matt !!" A Chicago based Self-Publishing Company, Book Vine Press was created by an author for authors. With 18 years of publishing and marketing experience, we provide authors the most affordable and competitive book publishing related services with 100% continuous support. To provide authors the most cost effective and quality service. We’re here to correct the major mistakes that most self- publishing companies have done, i.e. high retail pricing and printing cost, poor editing and erroneous marketing approaches, which are main reasons why a book is not in the hands of most readers. Address - 2516 Highland Dr.
Office Hours - 10:00 AM - 7:00 PM Central time.